HITCH - CAT. I, 3-PT. The New “Patent Pending” King Kutter Post Hole Diggers are the latest in post hole digger innovation from King Kutter Inc. This post hole digger features a 3-point Cat. I hitch, a unique patent pending Quik-Tach™ threaded auger, a slip clutch driven gearbox and 6”, 9” & 12” augers (AUGER SOLD SEPARETLThe New “Patent Pending” King Kutter Post Hole Diggers are the latest in post hole digger innovation from King Kutter Inc. This post hole digger features a 3-point Cat. I hitch, a unique patent pending Quik-Tach™ threaded auger, a slip clutch driven gearbox and 6”, 9” & 12” augers (Augers Sold Separately). 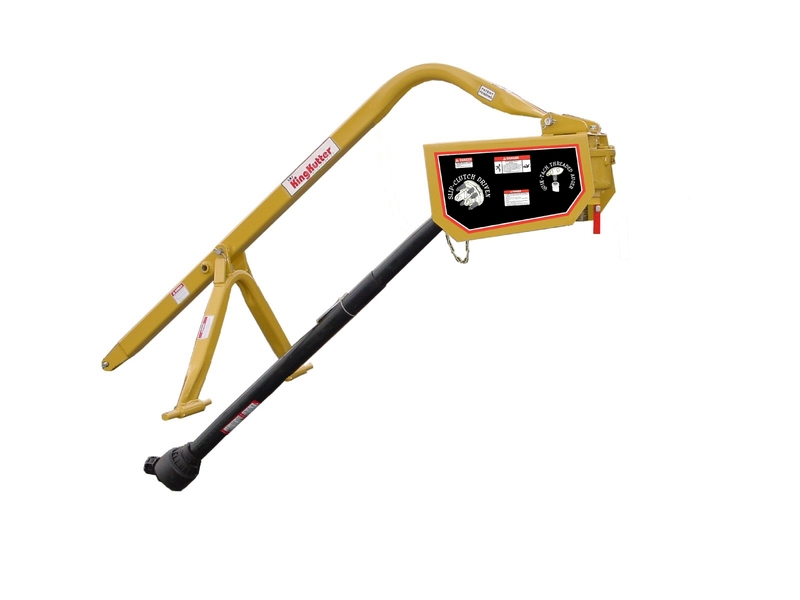 King Kutter’s post hole digger features a heavy duty, square tube formed frame and is designed and built for safety. Taylor Pittsburgh’s post hole diggers are designed with the farmer, contractor, and landscaper in mind.